This is why we love French automakers. 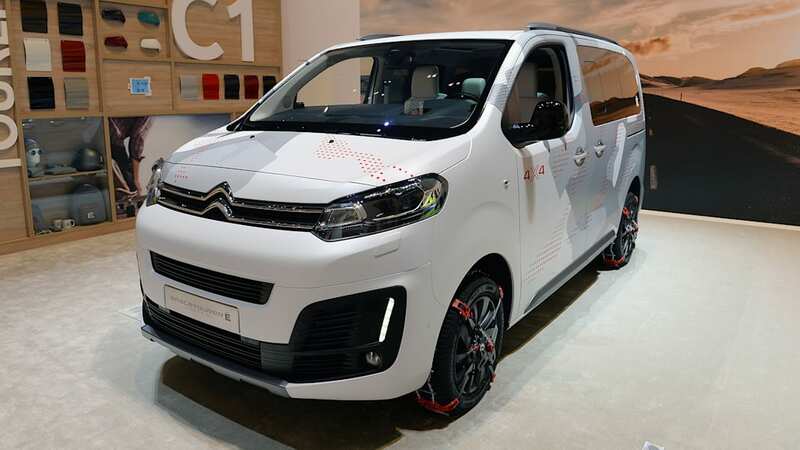 French automaker Citroën is set to debut a new concept car next month in Geneva, and it continues the streak of weird and wonderful van concepts we've seen at auto shows. 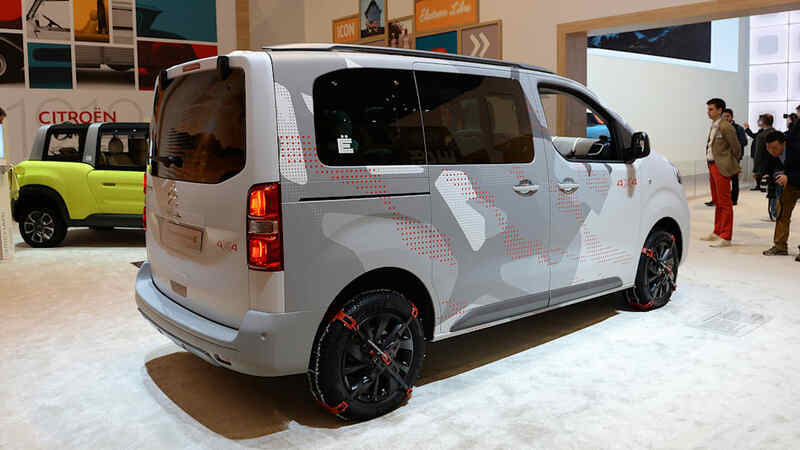 The Citroën SpaceTourer 4X4 Ë Concept embodies everything we love and envy about foreign vans. 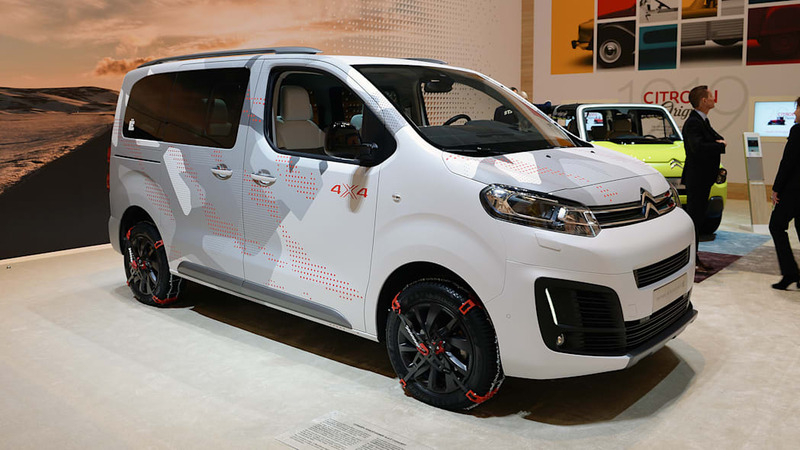 Its compact size, real four-wheel drive, and boxy design all set it apart from the offerings from Chrysler, Honda, and Toyota. It's just a shame that it has absolutely no chance of ever coming to America. 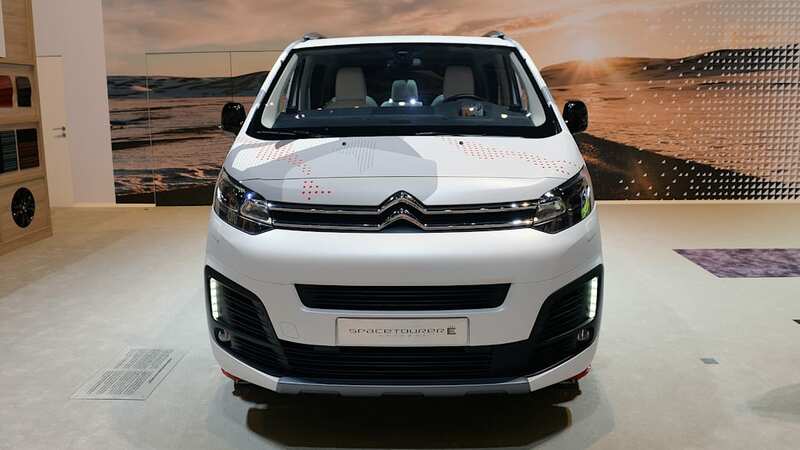 The SpaceTourer 4X4 Ë is based on the short wheelbase Citroën SpaceTourer van. At 181.1 inches long, it's nearly two feet shorter than the Chrysler Pacifica. It's also narrower, though with concept's slight lift it's nearly as tall as the Pacifica. 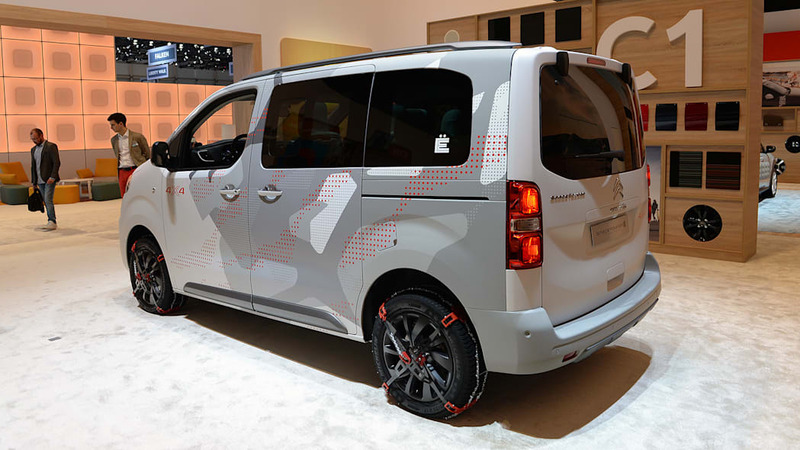 That lift provides plenty of room to fit the van's four-wheel drive system. 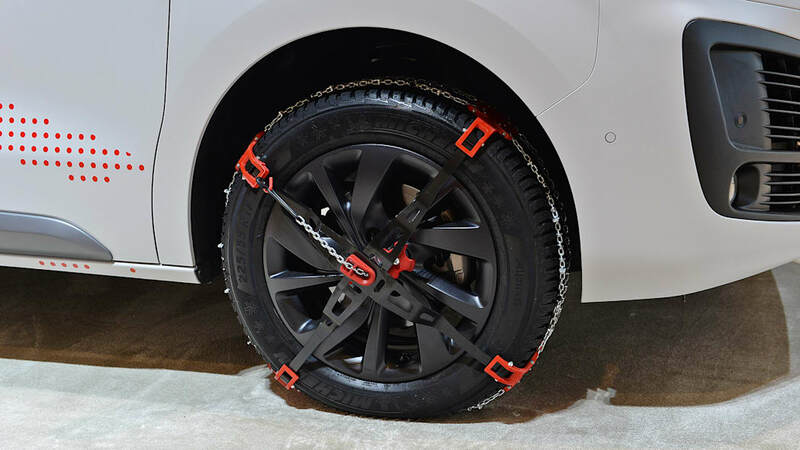 The SpaceTourer 4X4 Ë is also fitted with skid plates and snow chains to help out in any sub-optimal environments. The styling is mostly unchanged, though the exterior is adorned with new red and grey graphics along with multiple 4x4 logos. 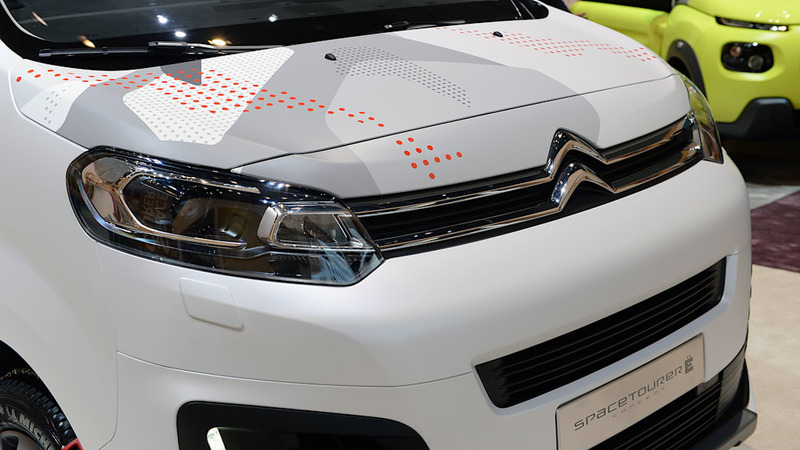 The front and rear are painted in Citroën's Technical White paint, while the leather and Alcantara interior gets red and grey accents to match the outside. 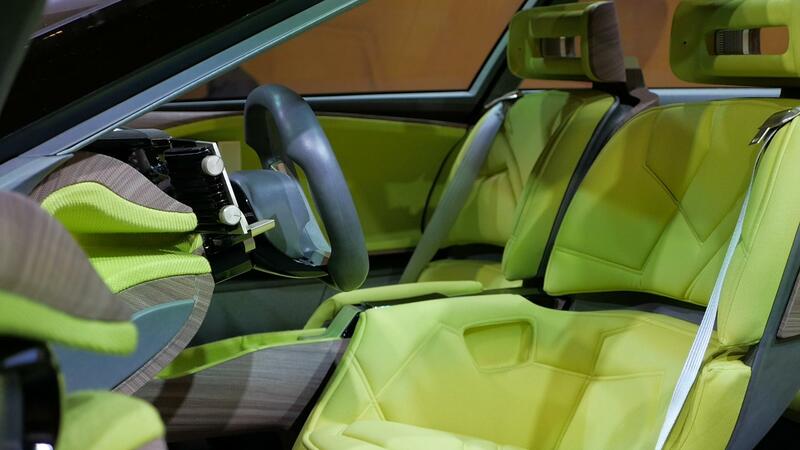 The interior is an otherwise simple and clean design. 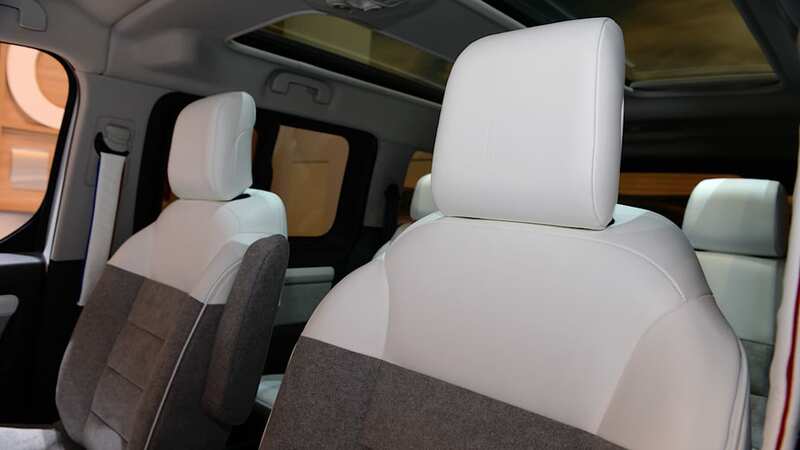 Despite the short wheelbase, the SpaceTourer 4X4 Ë is capable of fitting up to nine passengers with three rows of bench seats, though the seats can be adjusted down to a 2+2 configuration. The SpaceTourer 4X4 Ë is powered by a 147 horsepower BlueHDi 150 S&S diesel backed by a 6-speed manual transmission, a combination you'll never find in a van in America. 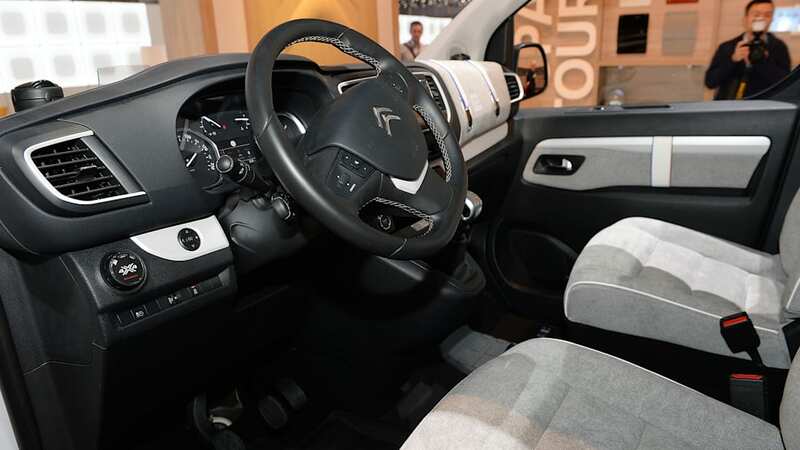 The rugged four-wheel drive system is provided by the aftermarket company Dangel, which has been making Citroëns into 4x4s for years. It may not look as rugged as Nissan's recently revealed Cummins powered NV Cargo X, but it's hard to complain about a high-riding 4x4 compact van. Look for more details after the full debut in Geneva.